This reading group guide for The Lost History of Dreams includes an introduction, discussion questions, ideas for enhancing your book club, and a Q&A with author Kris Waldherr. The suggested questions are intended to help your reading group find new and interesting angles and topics for discussion. We hope that these ideas will enrich your conversation and increase your enjoyment of the book. Love stories are ghost stories in disguise. In this captivating debut novel in the gothic tradition of Wuthering Heights and The Thirteenth Tale, a post-mortem photographer unearths dark secrets of the past that may hold the key to his future. When famed Byronesque poet Hugh de Bonne is discovered dead of a heart attack in his bath, his cousin Robert Highstead, a historian turned post-mortem photographer, is charged with a simple task: transport Hugh’s remains for burial in a chapel alongside his beloved wife and muse, Ada. However, Ada’s grief-stricken niece refuses to give Robert access to the chapel unless he agrees to her terms: write and publish Isabelle’s story of Ada and Hugh’s tragic marriage over the course of five nights. As the mystery of Ada and Hugh’s relationship unfolds, so does the secret behind Robert’s own doomed marriage to the fragile Sida and the origins of his morbid profession—a profession that leaves him seeing things he shouldn’t from beyond the grave. 1. The title of the novel, The Lost History of Dreams, is taken from the last book written by Hugh de Bonne, one of the characters in the story. What does the title mean to you? Which characters have lost dreams? 2. Supernatural beings, such as ghosts, are one of the main elements of a classic Gothic novel. How does the presence of ghosts change the reading experience? What do the ghosts in the novel represent to the characters? Are the readers meant to take the presence of spirits literally? Provide examples of how numerous characters are connected to the dead. 3. The novel opens with a quote from Ovid’s Metamorphoses: “Eurydice, dying now a second time, uttered no complaint against her husband. What was there to complain of, but that she had been loved?’ How is this sentiment expressed in the book? 4. Discuss how class is depicted in the novel, as well as the impact on those who don’t follow societal norms of the time. 5. Weald House is used to convey a sense of place in the novel. How does the estate also function as a character? Provide examples of how the author represents the natural world in the story. How are the characters’ lives changed by the presence of nature? 6. Discuss Waldherr’s careful attention to the structure of the novel and how she uses poetry, letters and stories to advance the narrative of The Lost History of Dreams. How do these techniques provide the reader with a deeper understanding of the characters? 7. What is Ada’s role in the story and what is her power? How would you describe Ada’s relationship and marriage to Hugh? 8. As the story unfolds, we learn that Isabelle Lowell may not be who she claims to be. What else do we learn about her? When did you start to suspect her real identity? Did the author leave clues along the way? Talk about how Isabelle challenges the preconceptions of women in 19th century England? 9. What is Hugh’s role in the novel? Is he a good man, a loving husband to Ada, or as Isabelle accuses “using her for your art” (pg. 377). What does the bequest of Ada’s Folly symbolize to the various characters in the story? Do you agree with Robert and Isabelle’s final decision regarding the chapel? Explain your answers. 10. Compare the characters of Robert and John. How does John serve as a foil to Robert? Who, if anyone, fills that role for Isabelle? 11. Analyze how the author uses Robert’s profession as a post-mortem photographer to challenge our perceptions of death and the grieving process. Why do you suppose Robert tells Grace the unvarnished truth about his occupation? 12. Compare and contrast Robert, Isabelle, and Tamsin Douglas’s reactions to Hugh’s death. In what way does his passing affect each of them personally? 13. On page 120, Isabelle says, “I believe love stories are ghost stories in disguise.” Share your thoughts about love and whether you agree or disagree with Isabelle. What do Isabelle’s beliefs regarding love reveal about her? Does your perspective of her character change over the course of the novel? Explain your answers. 14. Do you think Mathilde, who was “nothing like Ada” was able to break the Lowell family “curse” to find true happiness? Why or why not? 15. Discuss the ending of the novel. What are your thoughts about what occurred in the last chapter? Were you satisfied with what happened to the characters and how their stories concluded? If you could rewrite the ending, what might you have done differently? 1. Make a list of the different birds mentioned in the novel and then take your book group bird watching. Go here https://www.audubon.org/birding to begin exploring. 2. Daguerreotypes were the first successful form of photography and were created by Louis-Jacques-Mandé Daguerre. Discover more http://www.photohistory-sussex.co.uk/dagprocess.htm about the invention of photography and the daguerreotype process. 3. What combination of elements make a Gothic work? List ten characteristics of Gothic literature and note how many of those elements appear in The Lost History of Dreams. Then ask the members of your book group to name their favorite Gothic novel. Consider how those novels compare to the one you just read. 4.The epic poem Metamorphoses is considered Ovid’s best known work and was completed while the poet was in exile. What was the importance of Ovid to the characters of The Lost History of Dreams? 5. Hugh was fond of puns, puzzles, and scavenger hunts. When was the last time you went on a scavenger hunt? Head over to https://www.watsonadventures.com/whats-a-hunt/ for your first clue! 6. Visit the author’s website (http://www.kriswaldherrbooks.com/site/) and discover more stories that celebrate art and words. A Conversation with Kris Waldherr. What are some of your favorite Gothic tropes? I’ve been enthralled with gothic novels since I was a child—you can’t imagine the fun I had playing with these tropes while writing The Lost History of Dreams! Though it’s hard to choose the ones I like best, I’m especially fond of the trope of the haunted house on the moors. Another favorite is Gothic doubling—this is where two characters mirror each other, such as Jane Eyre and the madwoman in the attic or Rebecca and the second Mrs. de Winter. Finally, who can resist a forbidden love story involving a consumptive? What research did you do for The Lost History of Dreams? I traveled twice to England, where I walked the paths trod by Robert in London and Shropshire; the library in Wellington, the closest city to Kynnersley, was a treasure trove of archaic information about nineteenth century inns, train routes, coach routes, maps, local wildlife, and more. For Ada and Hugh’s story, I traveled to Herne Bay, Paris, and nearby Sèvres, and consulted numerous period photographs and maps. Another research trip took me to Rochester, New York to the George Eastman Museum to gain a greater understanding of daguerreotype plate formats and antique cameras. At one point I considered taking a course on daguerreotype creation there, but was unable to; instead I relied on the Eastman Museum’s wonderful photographic processes video series to understand the chemistry and mechanics of Robert’s occupation. Finally, I studied the piano to get a sense of Ada’s experience as a musician. I didn’t get very far in my studies, but I did manage to peck my way through the andante of the Beethoven second sonata from his Third Opus. It helped that I already knew how to read music, and have played other musical instruments. One day I’ll go back to it! You began your career in publishing as a book designer and illustrator. Do you still illustrate and design books? Which do you prefer the most, illustration or writing? These days, writing for certain. At this point in my publishing career, the challenge of writing a novel inspires me far more than illustrating or designing a book. Much as I love making beautiful books, fiction feels a richer and more immersive form of creativity. Writing a novel allows me to draw upon (no pun intended) everything I’ve learned so far in my life: psychology, history, literature, science, and so much more. But then again, I’ve spent many more years illustrating books than I have writing novels—perhaps it’s a matter of balancing the scales before they tip back toward art. That said, yes, I still illustrate and design books, but nearly not as often as I had before discovering the joys and challenges of novel writing. Frankly, much depends on the book I’m envisioning—if it needs art, I’ll create it. My last illustrated book was Bad Princess, which was published in early 2018. The book ideas I have of late haven’t required art so far. You describe yourself as an “intuitive, non-linear thinker.” What does that mean? Describe your creative process. I meant that ideas for my novels don’t arrive in neat packages, where I immediately know the beginning, middle, and end of a story. Instead, they’re spurred by flashes of images, snippets of dialogue, characters, and even dreams. These flashes come to me at unexpected and sometimes inconvenient times, such as when I’m taking a walk or washing dishes; just in case I always keep a notebook or phone nearby to write them down before I forget. (I always say that when the Muses knock, you answer the door.) In my author acknowledgements, I’ve already described the dream that spurred the first scene I ever wrote in the novel, so here’s another example: the title for The Lost History of Dreams came to me one morning when I was waking up; it took another year before I figured out what the accompanying story would be. Another inspiration was a painting I saw by Walton Ford in the Smithsonian of migrating pigeons lifting a tree limb [https://2.americanart.si.edu/exhibitions/online/birds/artists/ford/ford_bough.cfm]; this led to the scene when Ada and Hugh first meet on the moors outside Weald House. Over time, these notes reach critical mass. Then I’ll organize them into an “inspiration” file, where they percolate until I get a sense of how everything connects—with The Lost History of Dreams, I had over 25,000 words of notes before I began writing the novel itself. Once I’m ready to begin drafting in earnest, I’ll arrange my notes like puzzle pieces until my story starts to make sense—as you might imagine, this can take time, but when it’s “right” I can feel it in my gut. I also revise incessantly, which helps me unearth what my subconscious has in mind. It’s not the most straight-forward process, but I’ve come to accept it for what it is. From a technical standpoint, I’m a big fan of Scrivener, where I can move scenes and notes around easily as I write. This also allows me to experiment with pacing and plot development, hold onto previous scene drafts, as well as keep track of character arcs and the like. You make great use of the line “Every love story is a ghost story” from The Pale King by David Foster Wallace. What was it about that line that spoke to you? It’s such a rich quote, isn’t it? I was deep into my first draft of The Lost History of Dreams when I came across the David Foster Wallace line. It was so perfect that I set it into my “inspiration” file—those seven words encapsulated so much of what I’d already written about Robert and Isabelle’s respective ghostly relationships, where both haunted and haunter are constrained by love, memory, and guilt. Ultimately The Lost History of Dreams is intended as a love story about the power of forgiveness. Until Robert and Isabelle are able to forgive themselves for their inadvertent roles in the deaths of Sida and Ada, they remain trapped by their pasts much like Orpheus in the Underworld. In the novel, Weald House is a prominent part of the story—does this house exist? Weald House is a product of my imagination along with Ada’s Folly. However, my description of the exterior of Weald House and the stable house where Isabelle sequesters Robert was based on buildings I encountered when I visited Kynnersley on the Weald Moors during my research. (Yes, Kynnersley is a real place in Shropshire. So are the Weald Moors.) The church and graveyard exist as described, along with the location of Missus Dido’s cottage. So do the pathways, moors, and roads, which I suspect are slightly different than they were in 1850 though I did check them against period maps. It’s a beautiful area of England. Which writers and illustrators have influenced your work? The Lost History of Dreams was definitely influenced by Diane Setterfield’s The Thirteenth Tale and A. S. Byatt’s Possession—I adore how Byatt used poems, letters, and archival documents to create stories within stories. Sarah Waters’ novel Fingersmith spurred me to write historical fiction, and remains one of my favorite novels. Finally, how can I not include the Brontes? Jane Eyre is perhaps my favorite novel, and one I reread on a regular basis. As an illustrator, I love the work of the Pre-Raphaelites and the early English book illustrators such as Edmund Dulac and Arthur Rackham, and the Scottish illustrator Jessie M. King. In terms of contemporary illustrators, I was fortunate to be mentored early in my career by Alan Lee, whom I consider one of the greatest illustrators working today. His watercolors for The Lord of the Rings and The Mabinogion are masterpieces. What is your favorite part of the book creation process? I love those initial flashes of inspiration, and experiencing how they come together—sometimes this can feel like magic itself. I also enjoy the revision process after I have a completed draft, when I know my characters and can see all the connections and themes begin to emerge. What was the inspiration for Ada’s Folly and the poetry of Hugh de Bonne? Strangely enough, the initial inspiration for Ada’s Folly was a newspaper article about a Paris apartment that hadn’t been opened in seventy years [https://www.independent.co.uk/news/world/europe/revealed-eerie-new-images-show-forgotten-french-apartment-that-was-abandoned-at-the-outbreak-of-8613867.html]. For some reason, this led to my imagining a glass chapel in the woods that had been locked since its creation years earlier; I wondered what might be found inside. From there, I read about Horace Walpole’s Strawberry Hill [https://www.thecathedralstudios.com/conservation/strawberry-hill-house-twickenham/] and other architectural follies. I was also inspired by a photograph of an abandoned chapel in a French forest taken by Romain Veillon [https://www.dailymail.co.uk/travel/travel_news/article-3625995/Romain-Veillon-photographs-abandoned-buildings-world.html], which I used to envision the final scene of The Lost History of Dreams. As for Hugh’s poetry, Lord Byron and other poets of the Romantic era offered ample inspiration. I knew from the beginning that poems would be an important part of The Lost History of Dreams. Though I studied and wrote poetry in college, I don’t consider myself a poet; I wrote the poems that make up Hugh’s fictional oeuvre with much terror and trepidation. (Thank goodness for rhyming dictionaries!) Luckily, it was easier to compose poetry in Hugh’s voice than my own. I also looked at poetry books printed in the nineteenth century to get a sense of the punctuation and typography, which wasn’t standardized. Somehow this helped me envision what form Hugh’s poems should take on the page, which in turn helped me figure out the structure they required. You write books for adults and children. What is the difference between writing for adults and children? What are the similarities? Whether you’re writing for children or adults, a story is a story: you need setting, characters, plot, and themes to explore. However, my writing for children tends to have a snappier sentence structure and simpler vocabulary; I make certain to provide context for any references that might be above their age level. The narrative structure is also more linear for a children’s book than for an adult novel (at least the ones I write!). Each requires a different mind set. I also take far longer writing my adult novels than I do my children’s books. Tell your readers what’s next for you? I currently have three novels underway, one for middle grade readers and two for adults. Though both adult novels are historical fiction, the middle grade novel is about a single mother and her daughter in modern Brooklyn—after writing The Lost History of Dreams, I desperately needed to write something that wouldn’t involve years of historical research and emotionally tormented characters. Now that I’ve finished the first draft of the middle grade, I’m letting it simmer as I turn back to my adult novels. The first of these is set during the Aesthetic art movement of the late nineteenth century—think absinthe, secrets, and decadence—while the second takes place a century earlier, and is intimidating me due to all the research involved. It’s also darker than Lost History, and more overtly feminist and political. Interestingly, all three novels contain elements of mythology and folklore, like The Lost History of Dreams. As to which one will be published next, I suppose whichever one reaches the finish line first! Kris Waldherr is an award-winning author, illustrator, and designer. 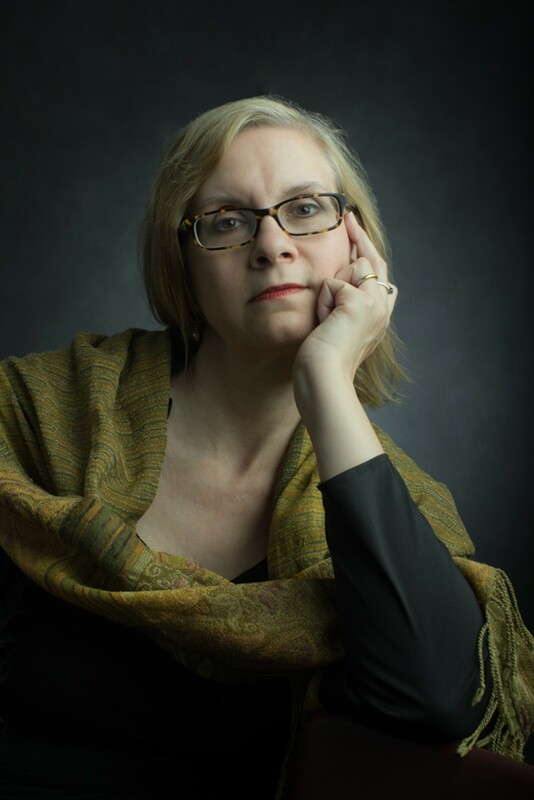 She is a member of the Historical Novel Society, and her fiction has been awarded with fellowships by the Virginia Center of the Creative Arts and a reading grant by Poets & Writers. Kris Waldherr works and lives in Brooklyn in a Victorian-era house with her husband, the anthropologist-curator Thomas Ross Miller, and their young daughter. "There is a Scheherazade-like structure to Isabelle's tale, and the haunting beauty of the love story makes Ada and Hugh come alive as characters. As in many gothic stories, the moldering old house that represents family tragedy is a fitting, creepy backdrop to the mysteries of the past. Waldherr avoids cliché in her rich descriptions and hints of supernatural presence that never cross into melodrama. Additionally, while most gothic tales offer only darkness and tragedy, a surprising amount of light and joy imbues the ending here. Fitting, perhaps, for a novel that uses stained glass as a symbol for heavenly possibility, even in the face of death. Waldherr writes that 'love stories are ghost stories in disguise.' This one, happily, succeeds as both." "Wuthering Heights meets Penny Dreadful in Kris Waldherr's The Lost History of Dreams, a dark Victorian epic of obsessive love, thwarted genius, and ghostly visitations….Eerily atmospheric and gorgeously written, The Lost History of Dreams is a Gothic fairy-tale to savor." "The Lost History of Dreams refuses to be categorized as anything other than excellent. Within the framework of a gothic, Kris Waldherr confronts our ideas about love, grief, poetry, and the nature of storytelling. With skillfully nested stories, Waldherr has done the remarkable, rendering the ephemeral into something real and tangible. Brooding, romantic, and thoughtful, The Lost History of Dreams is a rare bird in that it shines throughout with wit. I loved every page of it." 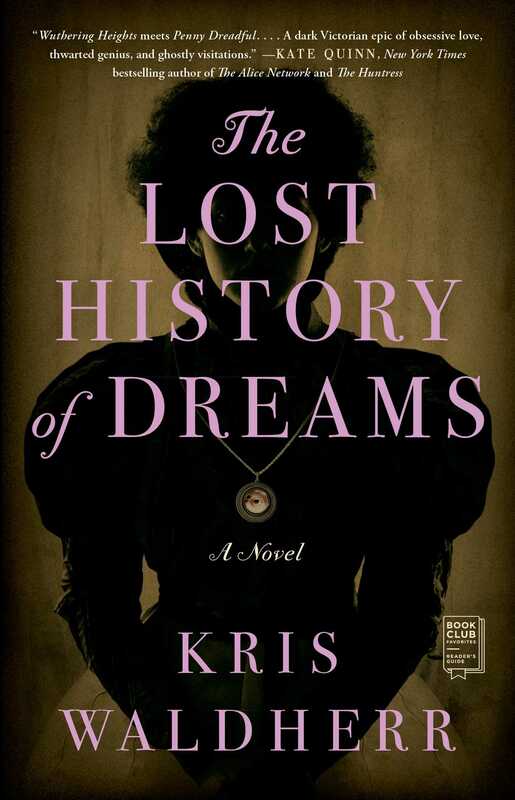 "Reminiscent of du Maurier's My Cousin Rachel, The Lost History of Dreams is a complex, haunting and deeply absorbing historical novel that is sure to delight fans of classic Gothic fiction. With luminous prose, stunning poetry and a fascinating cast of characters, Waldherr weaves a wonderfully atmospheric tale. Not to be missed!" “In The Lost History of Dreams, Kris Waldherr delivers a novel of haunting mystery and passion reminiscent of Wuthering Heights and Byatt's Possession. Layered within the pages of this gorgeous gothic tale is a story of several loves, each masterfully wrought in dazzling, poetic detail that will leave the reader longing for more." "In this accomplished debut, Kris Waldherr transports the reader to the fascinating world of Victorian England and its tradition of post-mortem photography with a deft hand. An atmospheric tale of lost love, family secrets, and an inquiry into how our own histories define us, I relished every poetic page. Mesmerizing, lyrical, and deliciously brooding, The Lost History of Dreams is a terrific contribution to Gothic literature." "The Lost History of Dreams plunges the reader into a sumptuous feast for all the senses. Through the perspective of a very Victorian yet empathetic male protagonist, Waldherr cleverly depicts the confining roles women of the era were forced to play. This creepily delicious tale will rob readers of their sleep as it asks and answers its own question: "'How can there be so much beauty in this world amid so much sorrow?' The only solution was to create more beauty." With this novel, Waldherr has done exactly that." "Kris Waldherr's The Lost History of Dreams is very aptly titled, as reading this novel feels indeed like entering into a dream, one from which I have yet to fully awaken. With beautiful prose and poetry, Waldherr weaves a darkly seductive Gothic tale of love, art, death, and obsession. You'll want to keep reading this one late into the night." "Kris Waldherr's The Lost History of Dreams is an exquisitely crafted literary gothic. With its labyrinthine twists and turns, it evokes the dark mysteries of the classic Victorian ghost story in all its brooding, atmospheric glory. A riveting, addictive read. Sarah Waters fans will be entranced." "The Lost History of Dreams is a dark, shimmering gem of a novel, glittering with love lost, secrets kept, and long-buried truths revealed. Wonder, memory, death and passion haunt every page of Kris Waldherr's powerhouse Gothic debut."